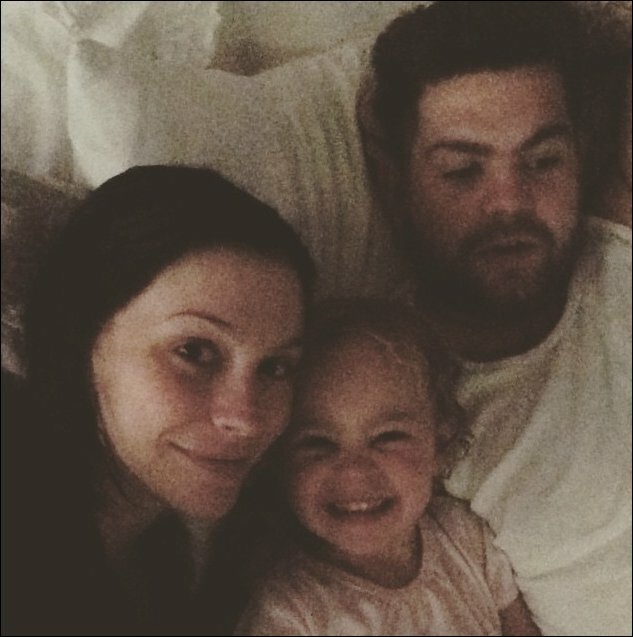 Pregnant Lisa Osbourne – wife of Jack Osbourne has finally been allowed home from hospital following a car accident on Monday, April 27th 2015. The 28 year old was kept in overnight as a precaution so doctors could keep a closer eye on her and her unborn child. Absolutely delighted to be home and back with Jack and their 3-year-old daughter Pearl Clementine, the expectant mum shared a family snap and let everyone know both she and baby were doing fine. This entry was posted in Dad and Baby Photos, Mum and Baby Photos, Pregnancy Photos. Bookmark the permalink.